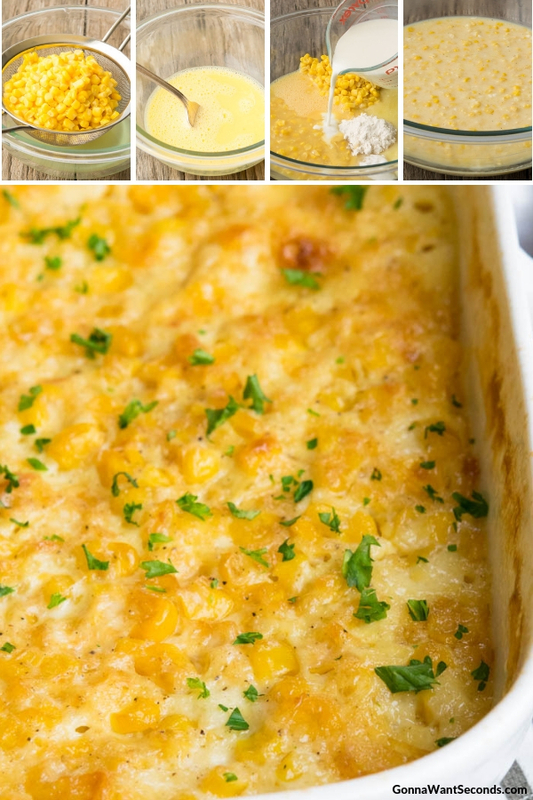 Sweet Corn Casserole-A perfect for any meal, especially holiday dinners! 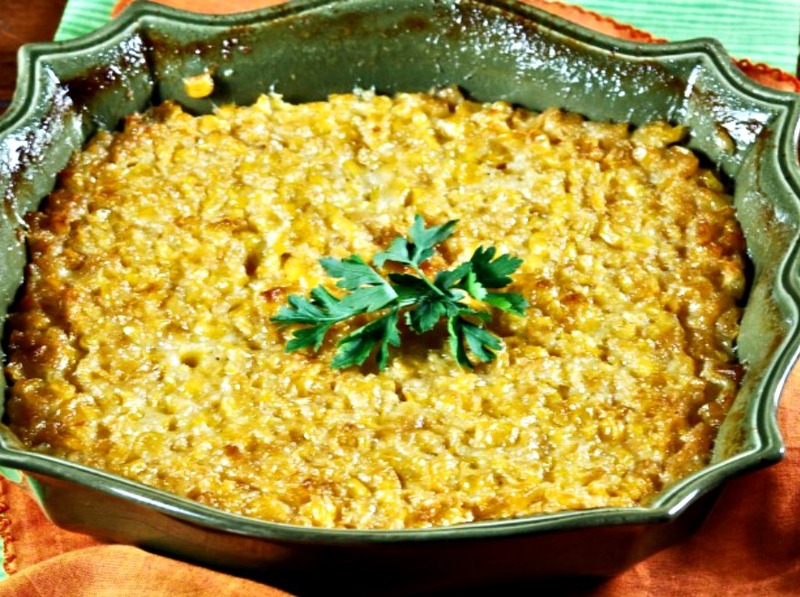 Our sweet corn casserole is a southern classic. A perfect side dish and a cozy, comforting family fav. A complement to any meal, especially holiday dinners! A wise woman once said that sweet corn casserole is the best way to take corn from summer to fall. It was me. I said it. Our carefree summer fling with corn on the cob is drawing to an end, and it’s time to work one of our favorite veggies into toasty warm casseroles and quick weeknight dinners. My sweet corn casserole encompasses both of those things, resulting in a creamy dish that requires minimal effort. 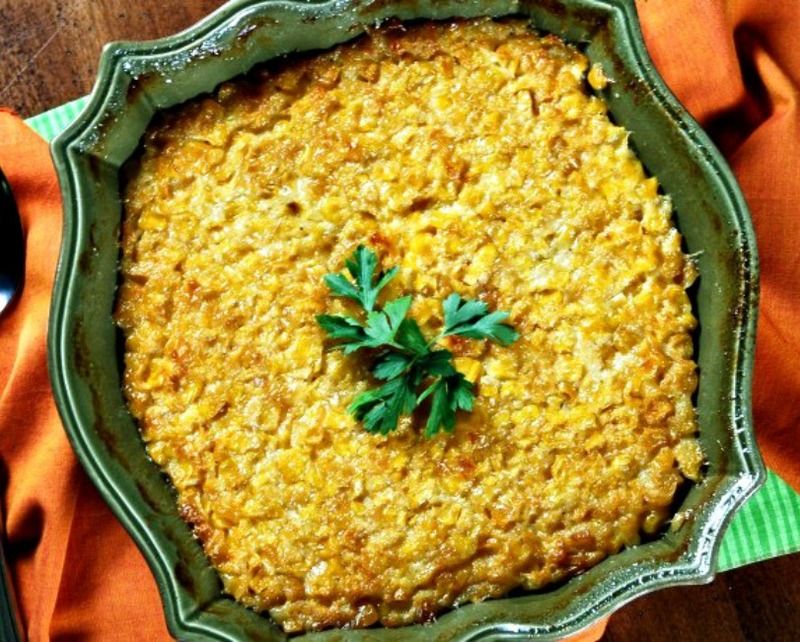 Much like my Scalloped Corn, sweet corn casserole exudes warmth and just tastes like home. 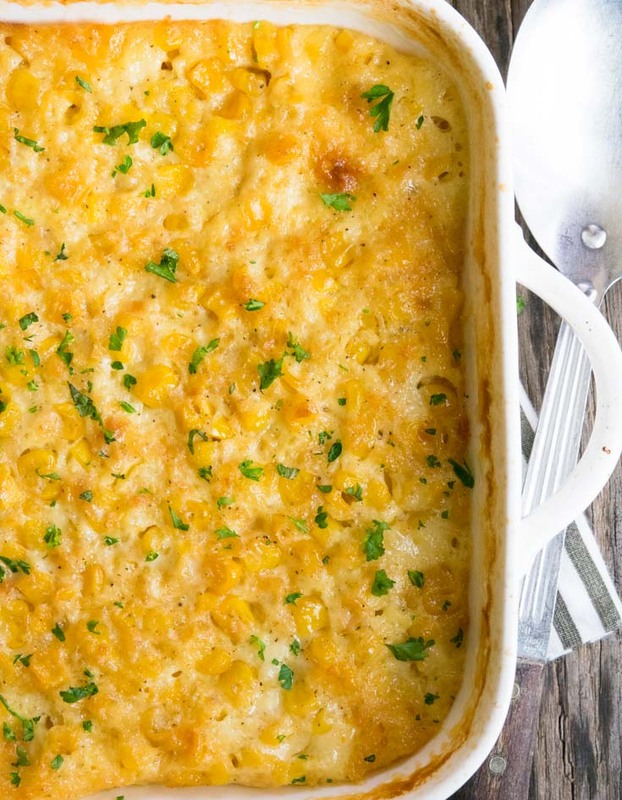 No matter what your week throws at you, this baked creamed corn casserole is sure to lift your spirits and satisfy your need for comfort food. It’s a win all around! 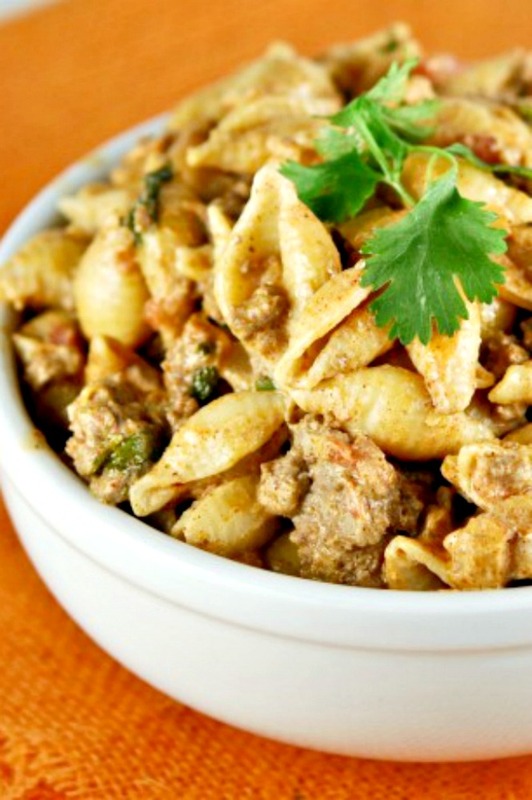 Easy to make with minimal ingredients and effort! You can double this in a pinch, making it perfect for a party! 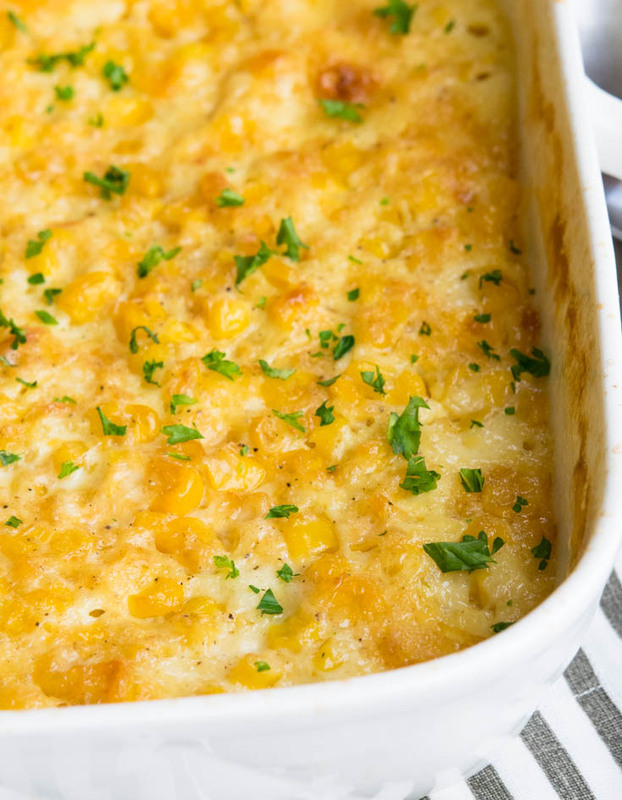 What Ingredients Do You Need To Make Sweet Corn Casserole? To keep this recipe fast and easy, I start it all out with a can of creamed corn. However, if you’re feeling ambitious, you could conjure up a batch of my Crock Pot Creamed Corn and use it in this recipe. Yum! I make my corn casserole without jiffy, so you’ll need all purpose flour and sugar for your dry ingredients. Milk, melted butter, and well-beaten eggs come next. Season with black pepper and salt. There are quite a few variations to this recipe, which we’ll get into with more detail later on. A great example is the corn casserole Paula Deen makes. Her creation includes corn muffin mix and sour cream, neither of which is found here. 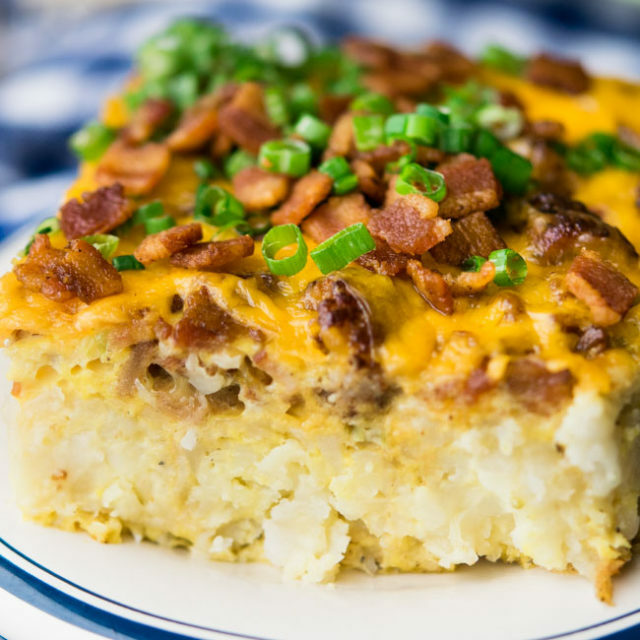 Luckily, we’ve got a take on this tasty switch up, and you can find it on Gonna Want Seconds under Paula Deen Corn Casserole. It takes less time to put together sweet corn casserole than it does to order a pizza. Okay maybe not, but it’s pretty close. Preheat the oven, spray an 8X8 dish and mix together all the ingredients in a medium mixing bowl. Bake for 1 hour and 15 minutes OR until the corn browns nicely around the edges. Easy! 1. Preheat oven. Spray the baking dish with cooking spray. Set aside. Next, drain a can of corn. 3. Add all the remaining ingredients. Mix. 4. Pour the mixture into the baking dish. Bake for an hour or until cooked. 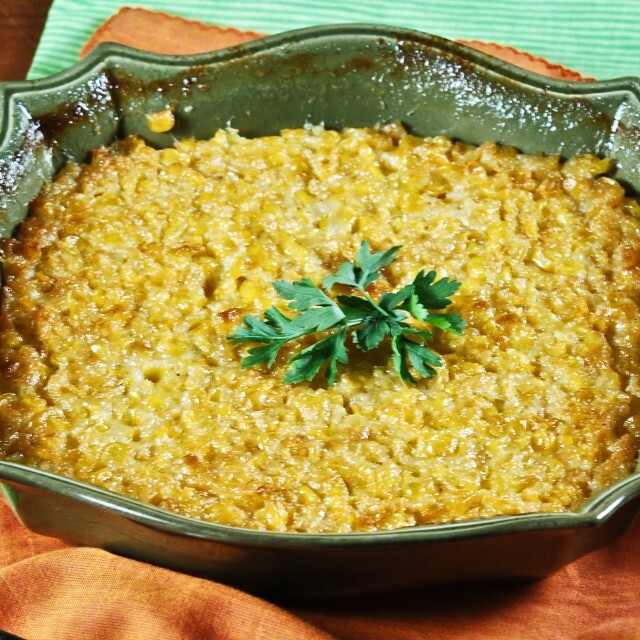 Our sweet corn casserole is cozy and comforting, a perfect side or main dish for any fall dinner table. Preheat oven to 350 degrees. Spray an 8X8 baking dish with cooking spray. Set aside. Drain the can of whole corn. Bake at 350 degrees for approximately 1 hour 15 minutes or until the center is set and the top of the corn browns around the edges. Cheese: While I love this recipe for sweet corn casserole just as it is, you can’t go wrong with cheese. You can very easily turn this dish into cheesy corn casserole by adding ¾ – 1 cup of shredded cheddar cheese when you mix the ingredients together. Yes, cheese! Jiffy Mix: We touched on this briefly earlier, and I mentioned that I make my classic sweet corn casserole without jiffy cornbread mix. 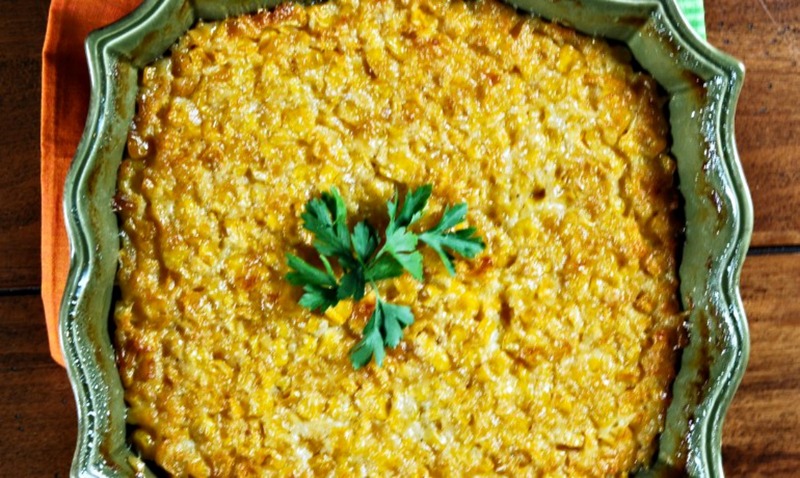 Corn casserole jiffy style is headed to GWS very soon, and it’s to die for, so stay tuned! Sour Cream: I make this sweet corn casserole without sour cream. The ingredients here make it creamy enough, and you’ll find that sour cream is usually paired with a cornbread mix when making sweet corn casserole. I prefer this recipe kept simple and basic. 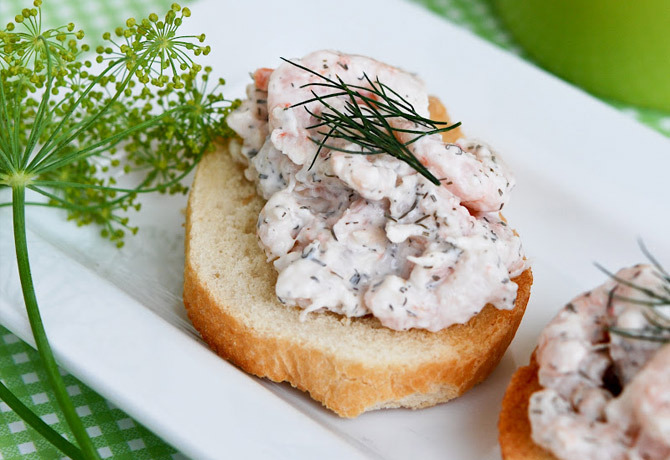 Cream Cheese: Tossing in some cream cheese is a great way to add even more creaminess to this already super creamy dish. 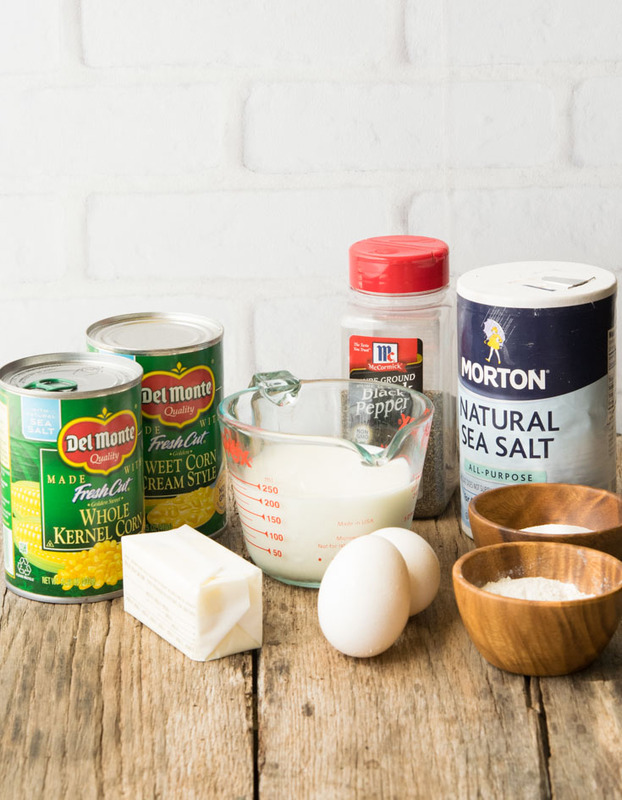 For sweet corn casserole with cream cheese, I recommend mixing ¼ cup butter (softened), 6 ounces of cream cheese (softened), 1 can of drained whole kernel corn, and 1 can of creamed corn. Leave dry ingredients as they are. Bake at 350! Can You Make Sweet Corn Casserole Ahead Of Time? Yes. 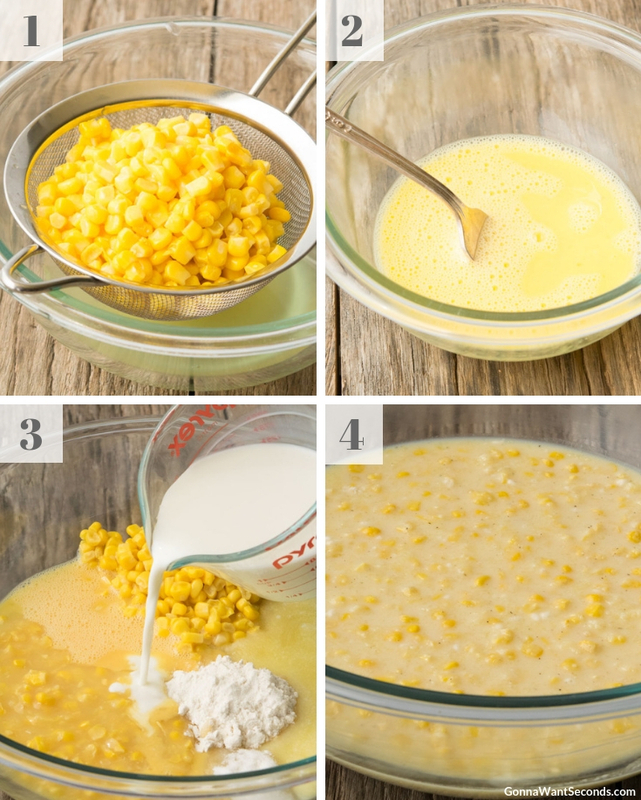 It doesn’t matter if you’re making a fresh corn casserole or our super easy canned creamed corn version, you can definitely make sweet corn casserole ahead of time. 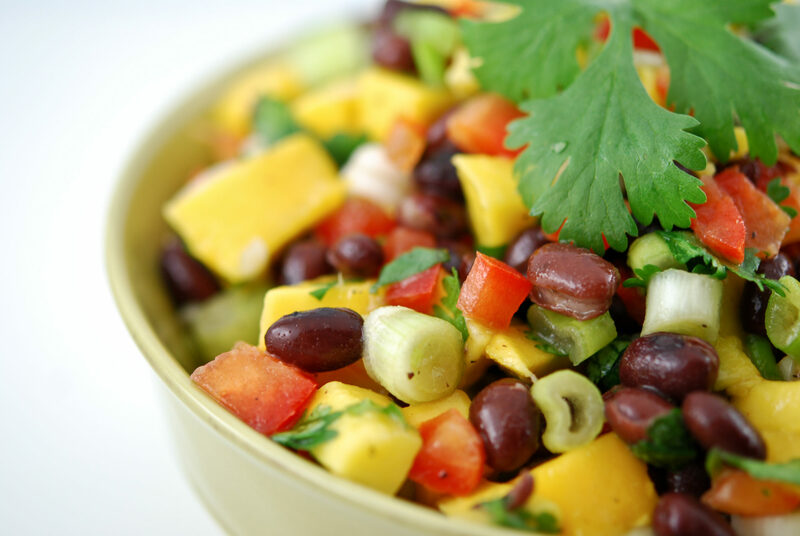 Mix all the ingredients together as instructed, cover it tightly and place it in the fridge. It’s ready to bake when you are! *Sweet corn casserole has milk and eggs in it, so I recommend making this no more than 24 hours in advance. Can You Freeze Sweet Corn Casserole? After it’s been baked, absolutely. 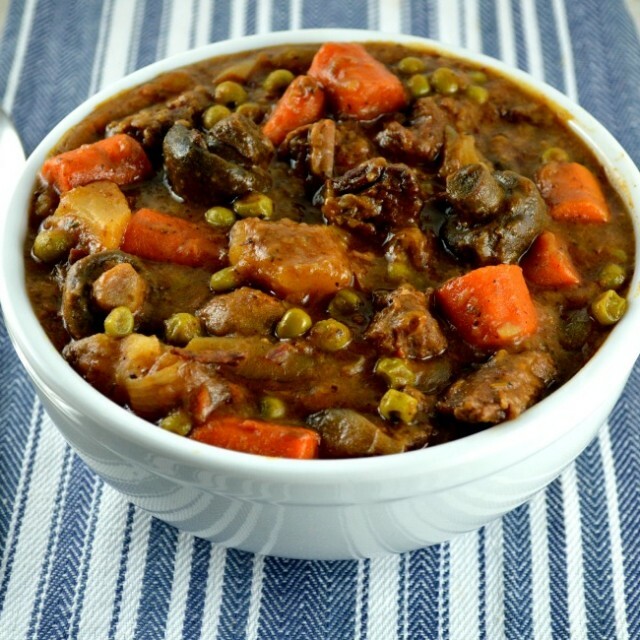 You can freeze this as an entire dish or portion out your leftovers however you like and freeze those as well. Again, this dish contains milk and eggs, so be sure to follow the safety guidelines for freezing! Easy Dorito Casserole – Layered with a zesty beef filling – it has all the flavor of our favorite orange chips without all the hassle of orange finger-tips! Make Ahead Mashed Potatoes – offers the rich traditional creamy taste of mashed potatoes, along with the gift of extra time… Just when you need it most! I want to make a double batch, do you know how long I should cook it? 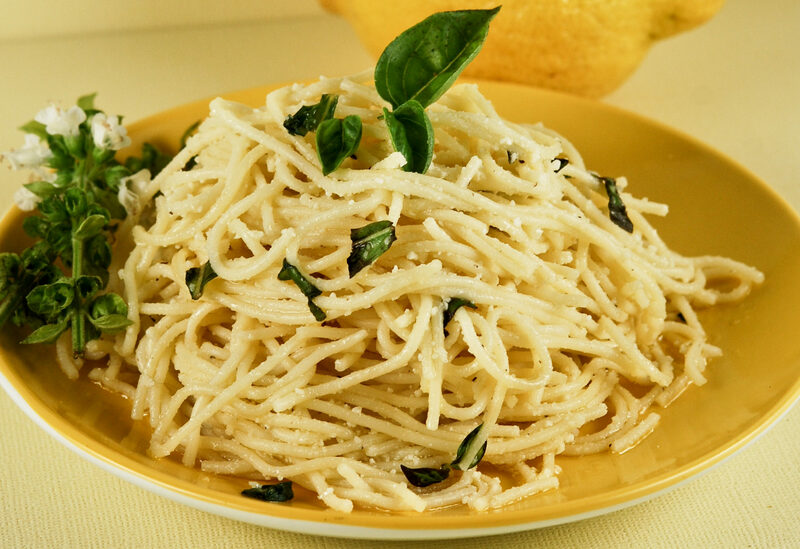 Very good as is..Will make again and add diced pepper as suggested..Easy to make. I love this recipe! I had lost the one I had and this one was perfect. I mixed diced jalapenos into mine for that sweet heat kick! Hi Jenn! I’m so happy you tried our recipe and it worked out well! The jalapenos sound delicious. I love that sweet spicy combo. You might like our Jalapeno Bacon Cornbread! I just signed up with you. I’m going to make your corn casserole recipe. So happy it doesn’t use corn muffin mix (yuck, processed food) If I double the recipe, what size dish should I use, 9 x 13?? I make this but I add saltine crackers instead of flour and swiss cheese. I also add onions. After the casserole is prepared, try this: Drain and wash a pint of raw oysters and poke them into the mix evenly all over the casserole making sure they are covered by the mix so they won’t burn while baking. 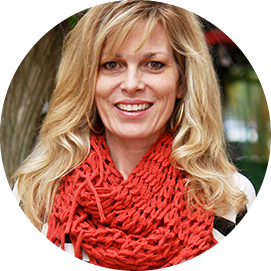 All the flavors (saltine crackers, corn, milk, but no cheese) really compliment one another! Remember oyster stew with saltine crackers? My coworkers requested this every Christmas for years…they absolutely loved it. So glad you enjoyed this recipe, Nelly! To double, triple, or quadruple, does each ingredient double, etc? I made this yesterday and it was amazing!!! I substituted the flour for a box of Jiffy cornbread mix and it was delicious. Thank you for your wonderful recipe. I’m making it again today! I saw this casserole on Pinterest yesterday, and simply had to make it. It’s so simple and we really loved it. Thanks for the recipe! OH MY GOODNESS. I made this for Thanksgiving and it was amazing. I will be making this at least once a week. Thank you Kathleen.